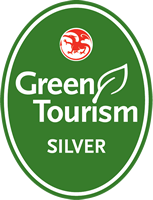 Journey into Celtic Rainforest, as you explore majestic waterfalls and the true magic of wet Wales in Coed-y-Rhiadr where the rivers Neath, Pyrddin, Mellte and Hepste meet. Looking for somewhere to cool off in wild surroundings this Summer? Coed-y-Rhiadr, the Waterfall Woods, on the south edge of the Brecon Beacons offers some of the best wild swimming in the UK. We’ve enjoyed many a happy, sunny afternoons walking or running in the woods here, and then cooling off in the pools along the way. Follow the A40 and M4 East from Carmarthen, taking junction 43 for Neath. Follow the A465 until you see a turning left for Pontneddfechan & the Waterfall Centre, just under an hour from Bronhaul. You’ll find parking and information at the Waterfalls Centre in Pontneddfechan before you head out on your adventure. Grab a bite at The Angel Inn or pack a picnic for this one, because once you’ve ventured into the enchanted forest of water, you’ll not want to leave for the rest of the day! It’s an easy hour’s walk from the car park at Pontneddfechan to Sgwd Gwladus, a beautiful waterfall cascading off a red sandstone cliff where it’s said the souls of the daughter of King Brychan, Gwladus, and her peasant love, Einion, flow together for eternity. Follow the River Neath until you reach a wooden footbridge, at which point a short detour left up the Pyrddin will bring you upon Gwladus in all her glory. 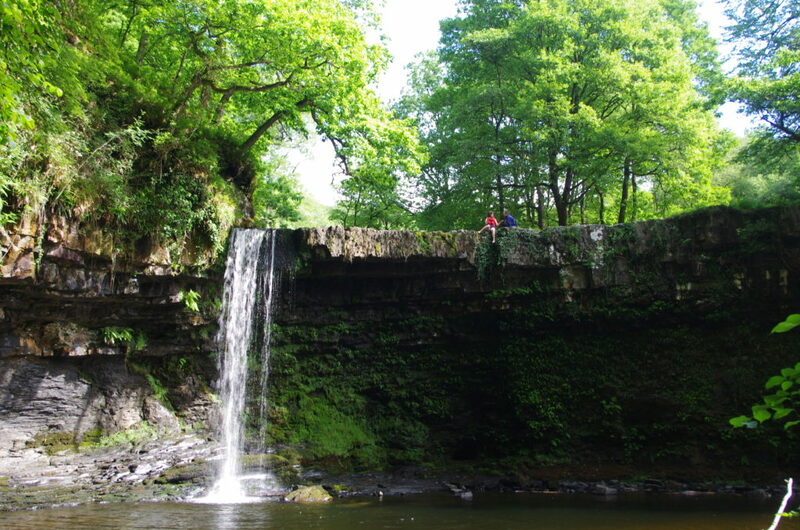 A more adventurous trip up river will bring you Sgwd Einion, the powerful and secluded cascade of her long lost love. Otherwise, for a longer walk, head up the Mellte until you see signs for Sgwd yr Eira, Snow Waterfall, famous for the curtain of water that visitors can easily walk behind. For the really energetic, it’s possible to combine these waterfalls and many more features in a big 10km round trip, starting and finishing in Pontneddfechan. 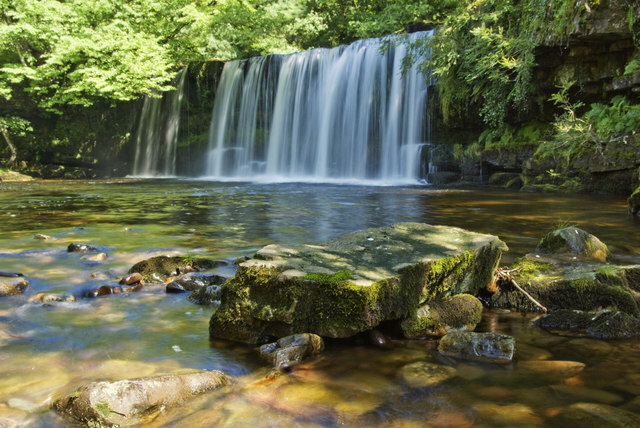 For more info on the walks and waterfalls around Pontneddfechan, check out Visit Wales’ handy guide here. We’d recommend the Old White Horse Inn for a hearty meal or a pint at the end of the day, before heading back to Bronhaul to tell us all about your adventures! Look out for our next instalment, where we’ll be off to Wales’ smallest city & top surfing spot…St.Davids! You’ll also find this and all of our Local’s Days Out guides in the welcome book in all of our self-catering farm cottages!